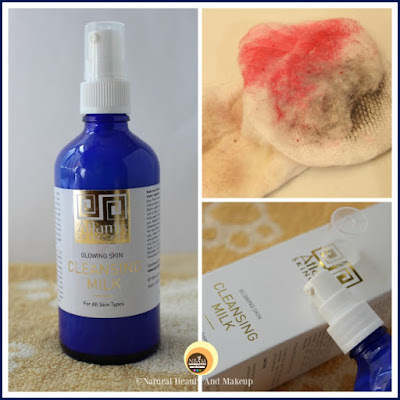 This natural cleansing milk effectively cleanses the skin from dirt, impurities and make-up, while hydrating and giving a sensation of comfort and softness. Aloe Vera leaf juice works with precious natural oils and soothing herbal waters to clarify, revitalize and provide antioxidant protection. Your skin is refreshed, silky and supple with a healthy radiant glow. Suitable for all skin types. This gentle toner with skin-soothing botanicals is ideal to refresh your skin & balance your skins pH levels after cleansing. It removes the last traces of makeup & impurities, leaving a bright and clear complexion. The natural scented toner leaves the skin clean and perfectly prepared to absorb all the goodness of your day or night cream that follow. Suitable for all skin types. 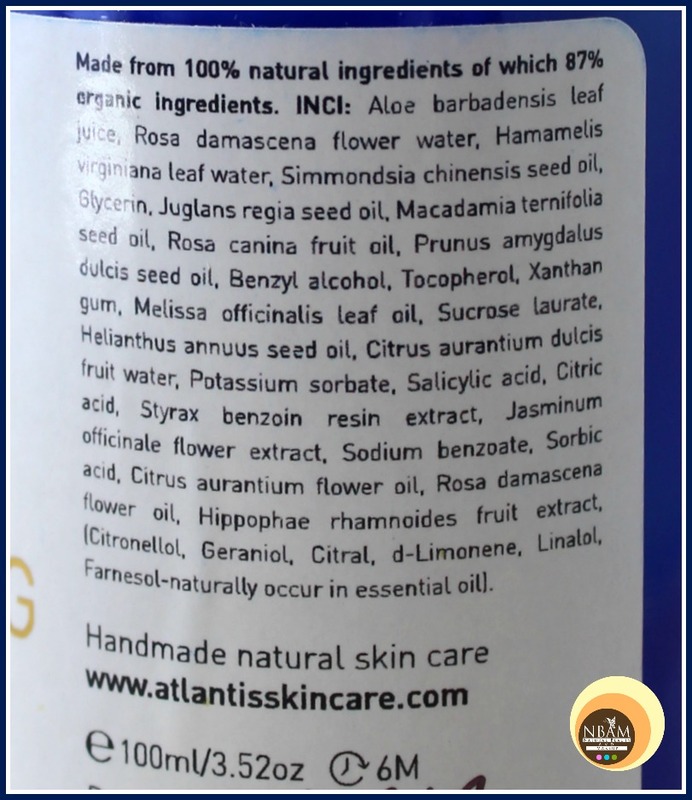 Please visit www.atlantisskincare.com for more information. Both the toner and the cleansing milk come in a deep blue coloured, see-through, 100ml glass bottle packaging. The cleansing milk bottle has a press pump packaging to dispense the right amount of product each time and is fitted with a firm cap. It accompanied me during my recent trip, so yes, absolutely travel-friendly. Atlantis Skincare Glowing Skin Toner rather has a spray mechanism that allows for even distribution of mist and the spray top is protected by a sturdy transparent cap. 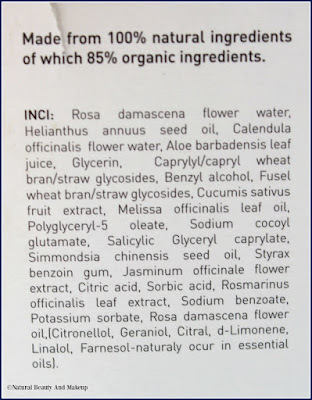 Be cautious while using this toner as it doesn’t spread nicely on the face when sprayed directly. Better, follow their strict method which is mentioned on the packaging. 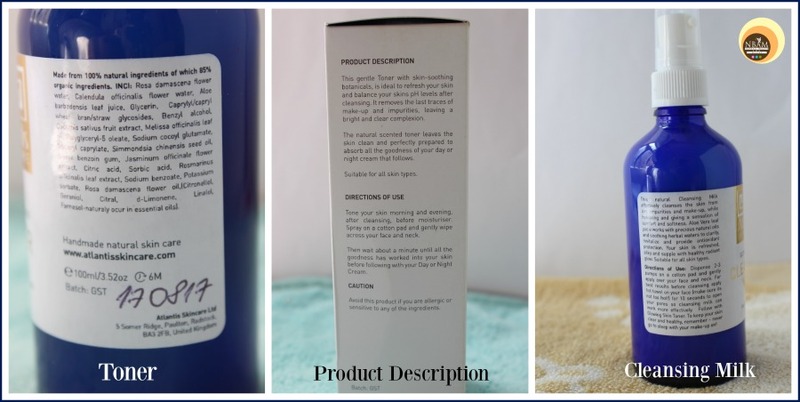 All the necessary product details like ingredients, usage direction, and product-info are mentioned both in the product container as well as the card box packaging. 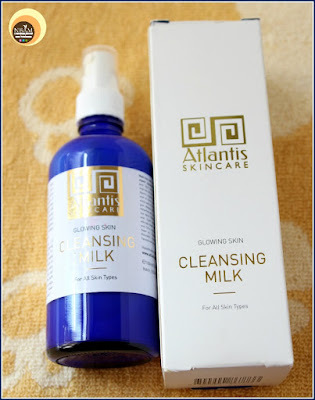 Atlantis Skincare Glowing Skin Cleansing Milk- Texture! Atlantis Skincare Glowing Skin Cleansing Milk has a smooth semi-thick consistency, strong herbal smell and is cream coloured. Atlantis Skincare Glowing Skin Toner- Texture! 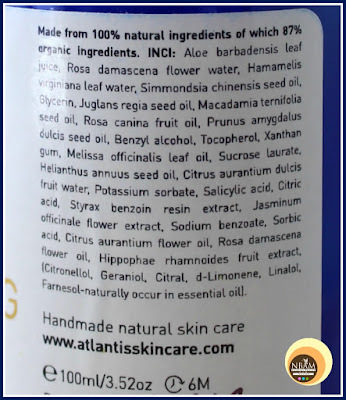 Atlantis Skincare Toner is a clear liquid with a pleasant yet strong natural scent and has a runny consistency. 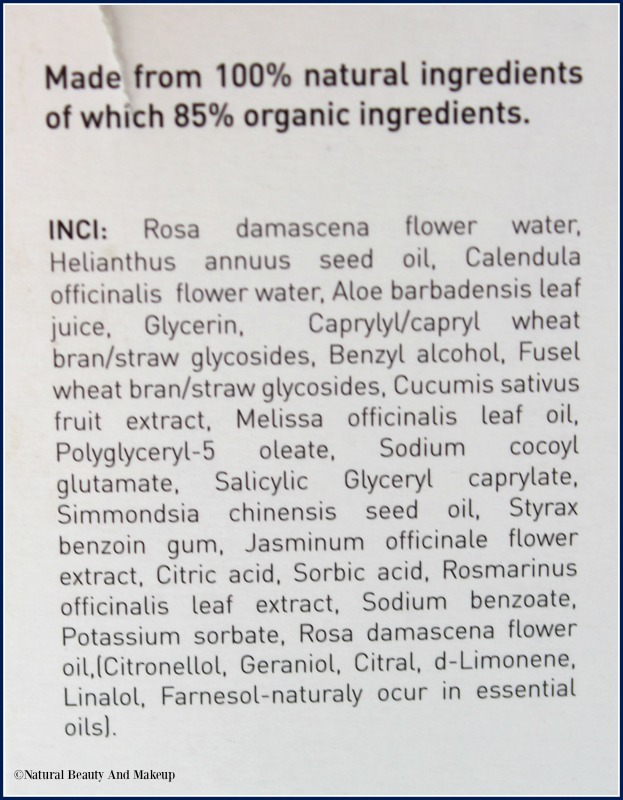 The toner contains natural surfactants so upon application you’ll notice lathers forming up but fret not, it’s safe. However, make sure, these products (cleanser & toner) do not get into your eyes, they sting horribly! As per the given direction, you need to pump 2-3 drops of cleansing milk on a cotton pad and gently apply all over your face and neck. But I do not follow this method. I either steam my face or take a warm towel and cover my face for few seconds. Then I pump 3-4 drops of it on my palm and apply directly to my face & neck followed by massaging my skin in circular motion. Then I take a cotton pad and clean my face. As I need only a small amount of this product to clean my skin, this 100ml bottle would last me long. Usually, I spray Glowing Skin Toner on a soft cotton pad and gently wipe across my face and neck. I give it some time to soak in, say around 60 seconds, before applying my daily moisturizer and eye cream and tadaa, my skin feels so soft & toned! Atlantis Skincare Glowing Skin Cleansing Milk is enriched with Aloe Vera juice, natural oils, Glycerin and soothing herbal waters that does the job of cleansing pretty well whilst hydrating the skin. When applied directly it melts into the skin and gently takes away all the grime, impurities and makeup. 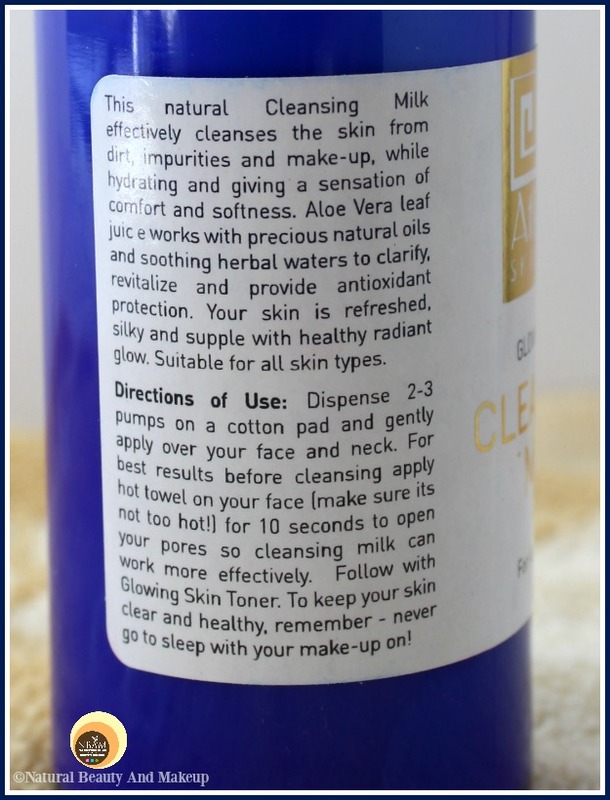 This mild cleanser easily removes my regular light makeup and provides a clean, refreshing look instantly! However, it couldn’t remove my waterproof mascara and bold dark lipsticks alone, for that I had to use a separate cleanser (double cleansing method). Post usage, I usually wash my face with plain water and apply toner directly. 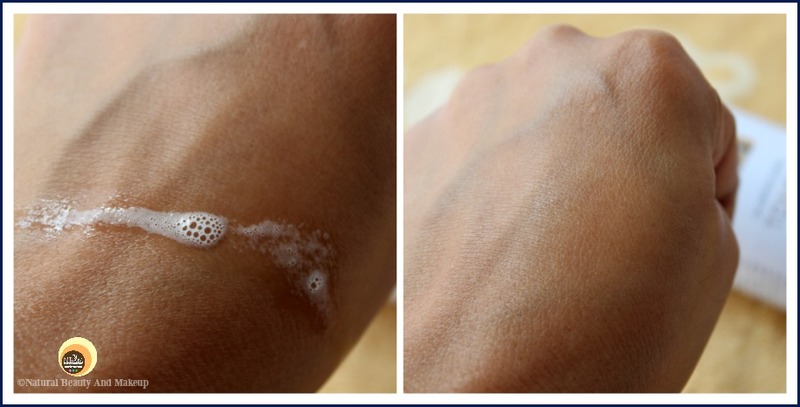 But you can use another cleanser to get squeaky clean feel followed by the toner. Since this cleansing milk is mild and hydrating in nature, it makes your skin soft and moisturized after each application. In fact, it doesn’t irritate or cause breakouts at all. This feels extremely gentle on the skin and is suitable for oily skin types too but great for dry/combination/sensitive skinned beauties and daily usages 😊. NB: When the weather was hot here, I used to apply this cleansing milk once a day in the evening time but now in this colder season, I am using it twice a day. 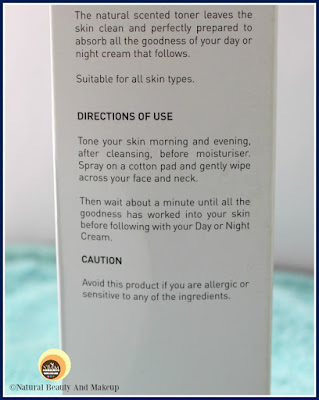 Beauties with oily/acne prone/sensitive skin should use cleansing milk once a day, preferably at night but other skin types can use twice a day for better results! After cleansing the skin, here comes the toning part. Atlantis Skincare Glowing Skin Toner actually adds a glow to your skin and makes it super plumped & toned. When applied with a cotton pad, the toner gets nicely absorbed into the skin. 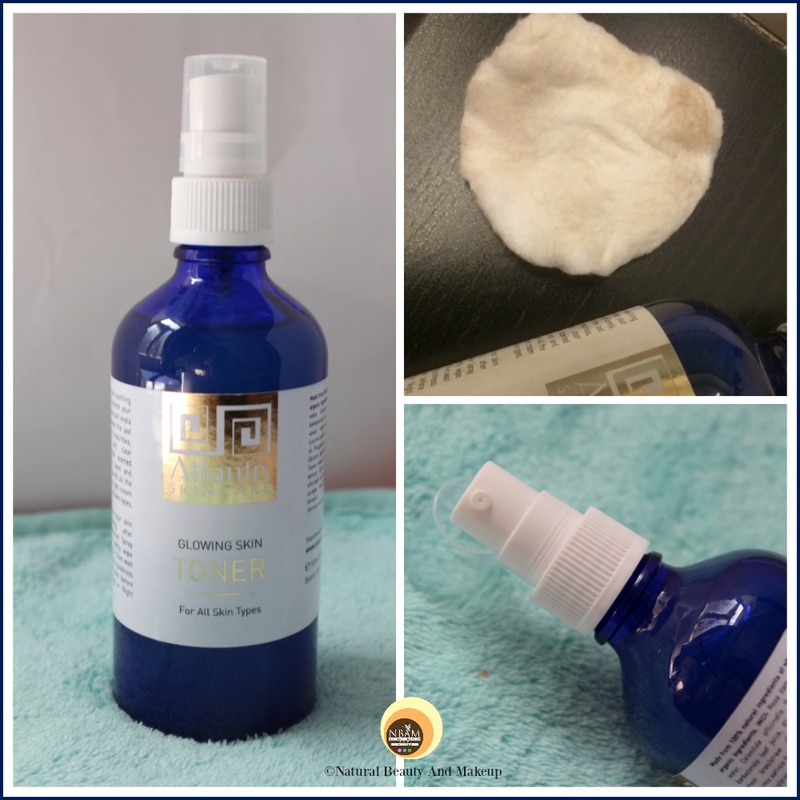 This toner has natural surfactants so even if there is any dirt or makeup left on my skin post-cleansing; it wipes off those remaining residues too sans irritating the skin. Infused with precious natural oils, herbal floral waters and all skin-loving ingredients it helps balance the skin’s pH level, hydrates the skin, helps cleanse & tighten the pores. I have been using this toner for two months and the results are quite visible. I don’t have large pores but have noticed that it amazingly shrinks the pores around my nose, firms & soothes the skin and provides me with a polished, radiant & glowing look. It neither dries out the skin nor has caused any breakouts till date! 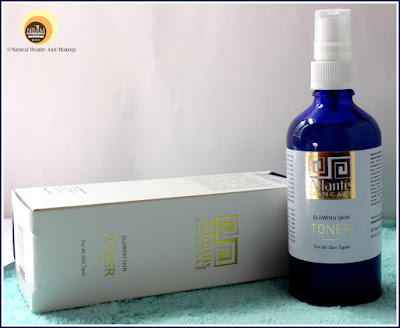 If you do not like toners that dry out your skin, this would be the perfect alternative. At present, this is my Holy Grail Toner and is ideal for all skin types. 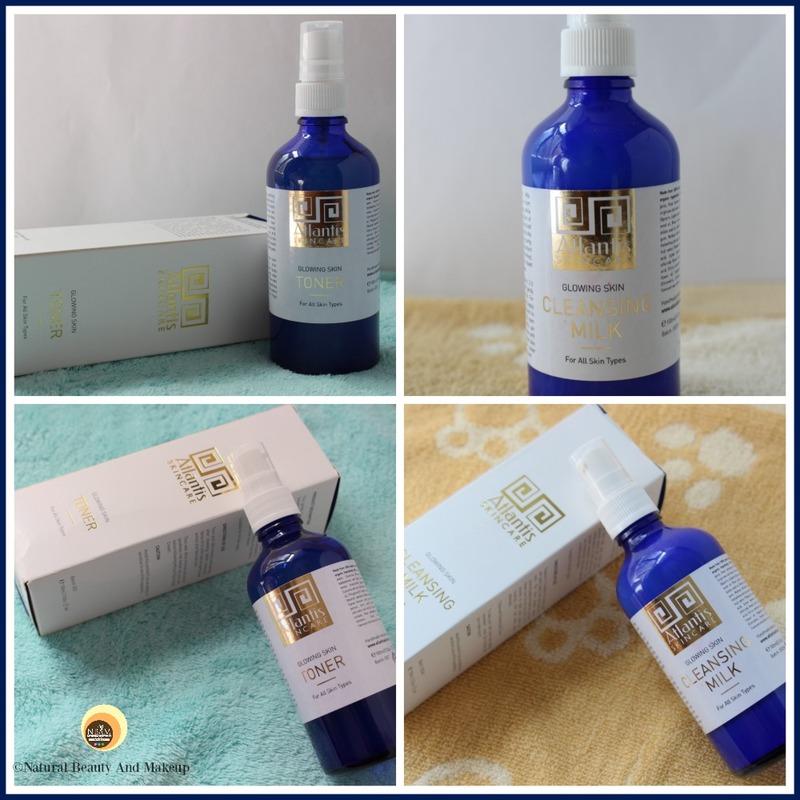 Atlantis Skincare Glowing Skin Cleansing Milk and Toner, both work efficiently in cleaning, toning and moisturizing the skin. These are free of parabens and other nasty chemicals. 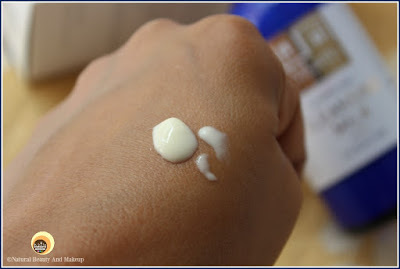 Although for heavy makeup the cleansing milk is not that effective, it can replace your regular cleanser, certainly!! My dull, dehydrated skin is pretty impressed with both of them as they are not only natural, handmade products but do what they claim! Rich in skin-soothing botanicals with milder formula, they are the saviour for dry and sensitive skinned beauties. I agree these are little pricey but are total value for money! Thanks to Zane who gave me a chance to try out her magical skincare products, I would love to repurchase these in future 😊. If you are on the lookout for gentle, hydrating yet effective cleanser and toner then make a beeline for these amazing products! #PR samples but my opinions are 100% honest and my own! 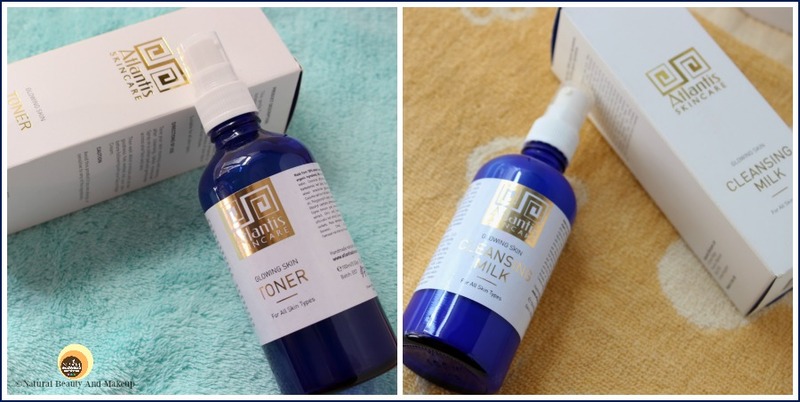 Have You Ever Tried Atlantis Skincare Glowing Skin Cleansing Milk and Toner? If Yes, Then Do Share Your Experience With Me In the Comment Section Below. I love using Cleansing milks and would like to try this one. Stunning pictures..
Sonali give this one a try, you'll love it <3 Thanks ya! Never heard of this brand, but seemingly the milk and toner are a joy to your skin. I like the packaging as well. I think will do good to my skin too. This product sounds tempting. I always love good cleansing milk as my skin is dry. Great review dear! Glad to hear they worked out for you. 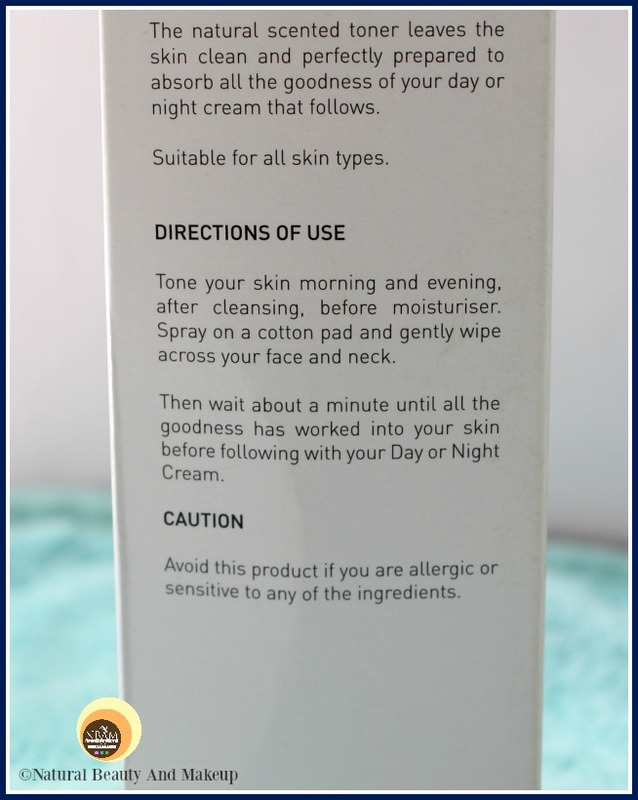 I like the cleansing milk, your review is really good I would purchase this if I see this in the chemist shelf. Both the products sound amazing...I have not tried anything from Atlantis yet but would love to try the toner..
Wow this sounds totally amazing, I've never heard of this brand before but I would love to try this out! Usually I don't use cleansing milk, but this looks effective and as I have similar kinda skin texture as you, I must give it a try.